Raise $600 and you will receive a limited edition Ride for Karen cycling jersey for free. Raise $900 and you will receive a pair of bib shorts as well. Ride in style and proudly show your fellow riders your commitment to making a difference in the lives of children battling cancer. 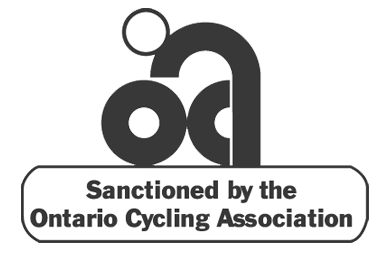 Jerseys & bib shorts will be distributed at the registration on the morning of the ride and are available in the following sizes: Jerseys - S, M, L, XL & XXL. Bib Shorts – S, M, L & XL. Limited jerseys and bib shorts will be available for sale on the day of the ride for $75 & $100 respectively. 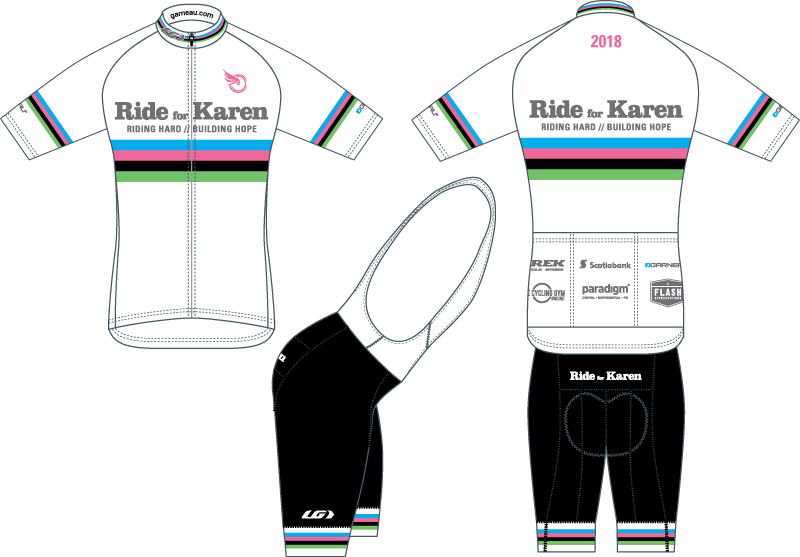 The 2018 Ride for Karen kit represents our 14th year of making clothing to commemorate our annual ride. Partnering with Louis Garneau, we are proud of our collaborative efforts to document the Ride for Karen each year. This year's kit features a 4-stripe design, using the base white colour from last year’s marshal jersey, which people really liked. The bands represent 3 colours of some of our favourite past kits, plus pink to honour our mother’s tireless battle with breast cancer. We hope you like our design and will proudly wear this clothing in 2018!